Choose from NanoString’s broad portfolio of expertly curated, ready-to-use gene expression panels. 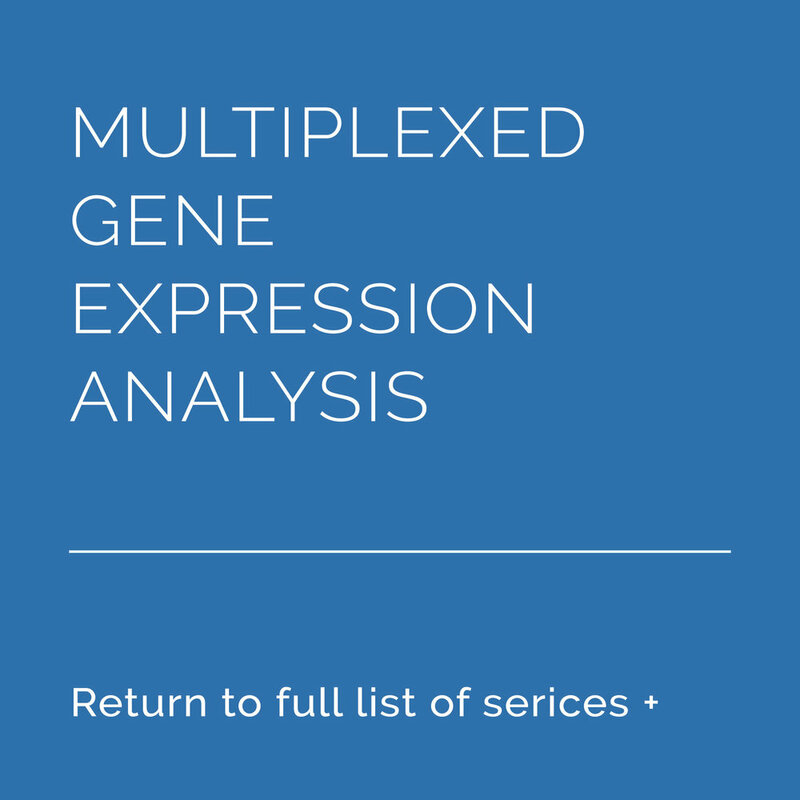 Each multiplex panel contains up to 770 genes and is customisable for up to 30 additional unique targets. with high variability, low yield, and in many cases, high degradation. The NanoString nCounter analysis system eliminates these challenges by utilising molecular “barcodes” and single molecule imaging to directly hybridise and detect hundreds of unique transcripts in a single reaction without any amplification steps that might introduce bias. With a single curl of FFPE material, nCounter generates data correlating with that generated from matched fresh frozen material. Using Multiplexed, Color-coded Probes” evaluates the results of FFPE analysis performed on the nCounter system compared to qPCR. The figure on the left shows nCounter data which has a correlation coefficient between FFPE and fresh-frozen of 0.90, and the figure on the right shows equivalent data for qPCR with a correlation coefficient of 0.50. This illustrates the superiority of nCounter data to that of qPCR for gene expression analysis of FFPE samples.